Ranging from the world’s first 300 hp four-stroke outboard to the portable DF2.5, Suzuki offers a comprehensive lineup that represents state-of-the-art design and technology. These engines offer great fuel efficiency and environmentally responsible operation that meet many of the toughest emission standards – worldwide. In 2008 Suzuki introduced the first “New Generation” four-stoke outboard motors, the DF90A and DF70A, followed by the DF60A in 2009. 2010 was another big year with the introduction of the NMMA Innovation Award Winning (Sixth Time) DF50A /40A with Lean Burn and the redesigned DF300A with Lean Burn. 2011 followed up with additional design changes for the DF300AP to include the NMMA Innovation Award Winning (Seventh Time) Select Rotation drive system. In 2012 Suzuki introduced the NMMA Innovation Award –Honorable Mention- DF20A/15A with Battery-less EFI/Lean Burn and the redesigned DF115A/DF140A with Lean Burn. In the same year, Suzuki also added the DF250AP with Lean Burn, Select Rotation and Suzuki Precision Control. These outboards deliver clean running economical operation with Suzuki’s Lean Burn Technology. 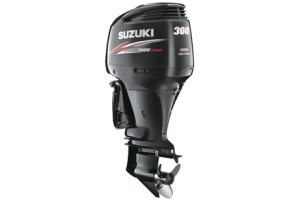 At Suzuki, our goal is to build outboards that are highly efficient, deliver low fuel consumption and high power output while placing less stress on the environment.